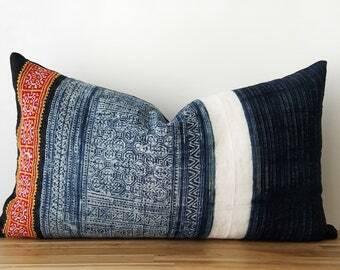 This hand-dyed shibori batik by women of the Hmong Hill Tribe, a Chinese ethnic minority group living in the mountainous regions of China, Vietnam, Laos and Thailand. 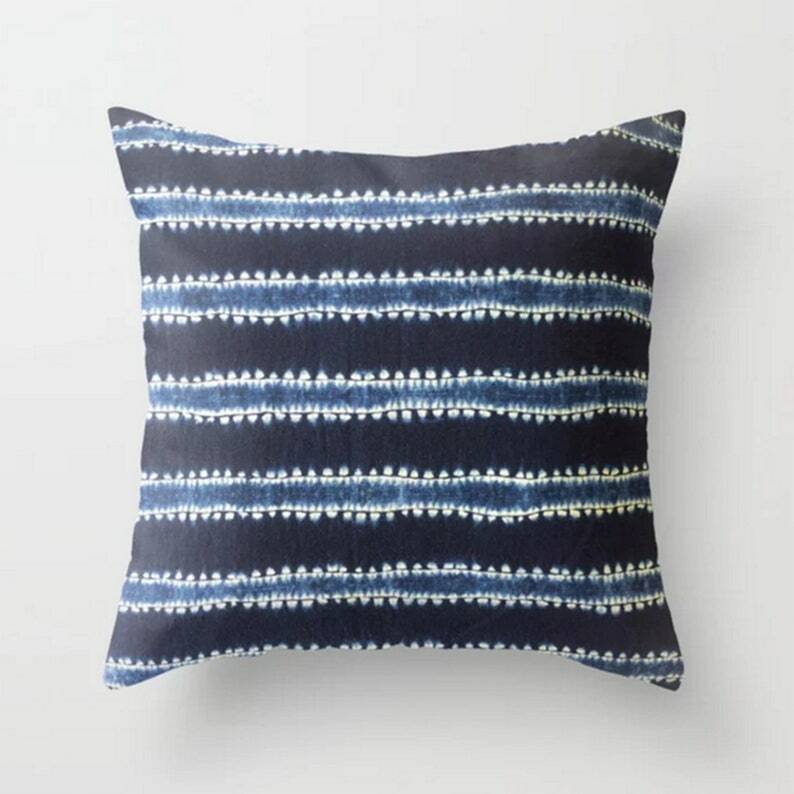 Using the traditional resist-dye batik method, the striations were hand-drawn with bee's wax and hand-dyed in vats of locally grown natural Indigo. 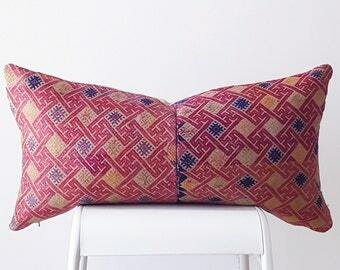 The variations of weave and dye are the very essence of the beauty in handmade textiles, making each piece a one-of-a-kind. 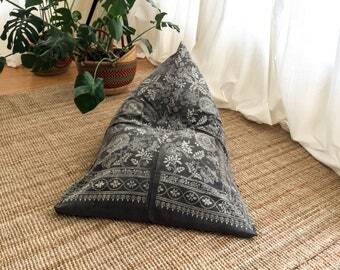 I'm happy to create and bring to your home, these breathtaking pillows! 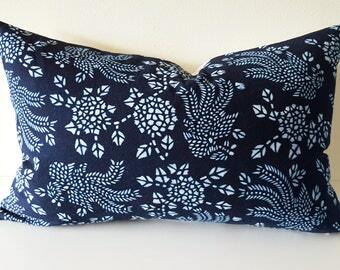 The front of the cover is 100% Hmong indigo striped shibori cotton; pattern placement may vary. 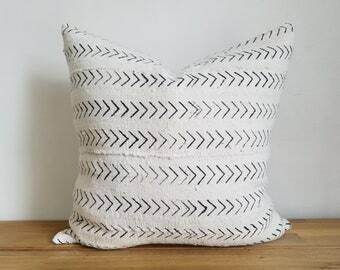 The reverse side is a natural unbleached 100% linen. The cover is double-stitched, seams overlocked, stress points reinforced, and features an invisible zipper for easy access and flexible styling. 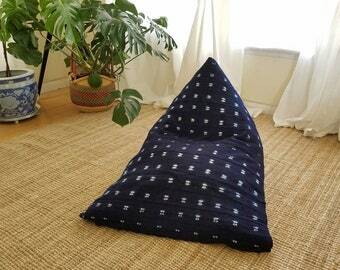 Authentic Vintage Hmong Indigo Batik Pillow Cover, Natural Indigo Batik, Tribal, Indigo, Navy, Blue, White, 18" x 18"